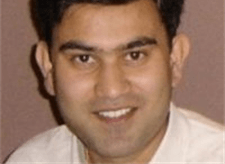 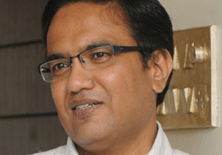 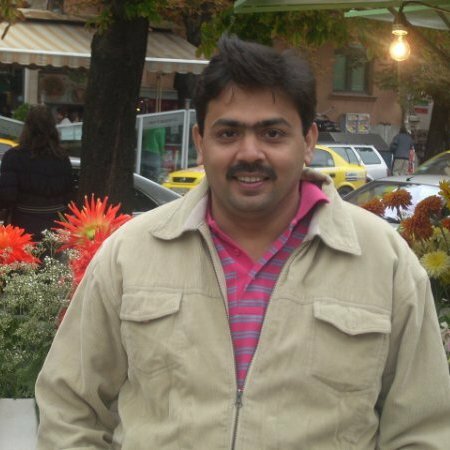 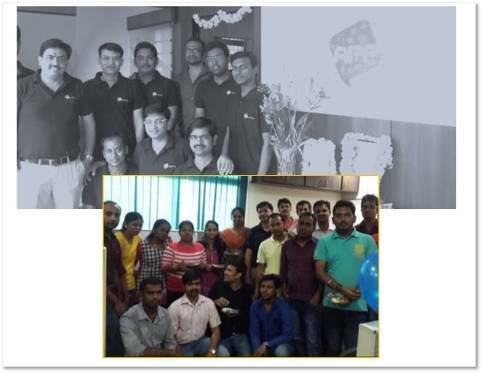 Last assignment as Senior Engineering Manager at Avaya India Pvt. 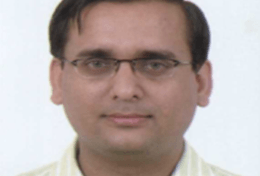 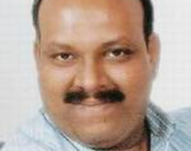 Ltd.
Last assignment as Channel sales & Marketing at Hindustan Coca Cola Beverages Pvt. 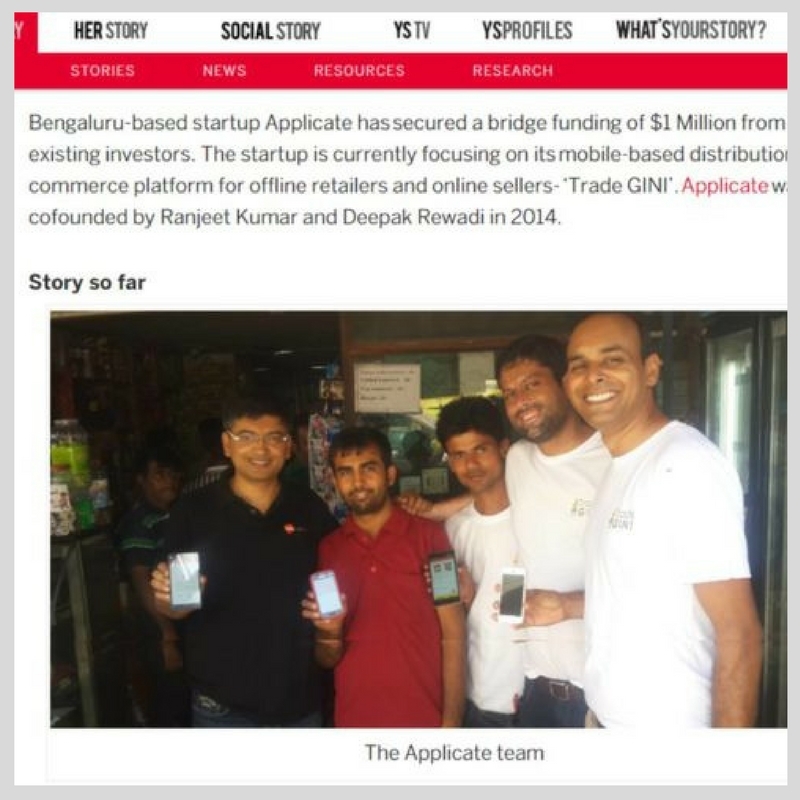 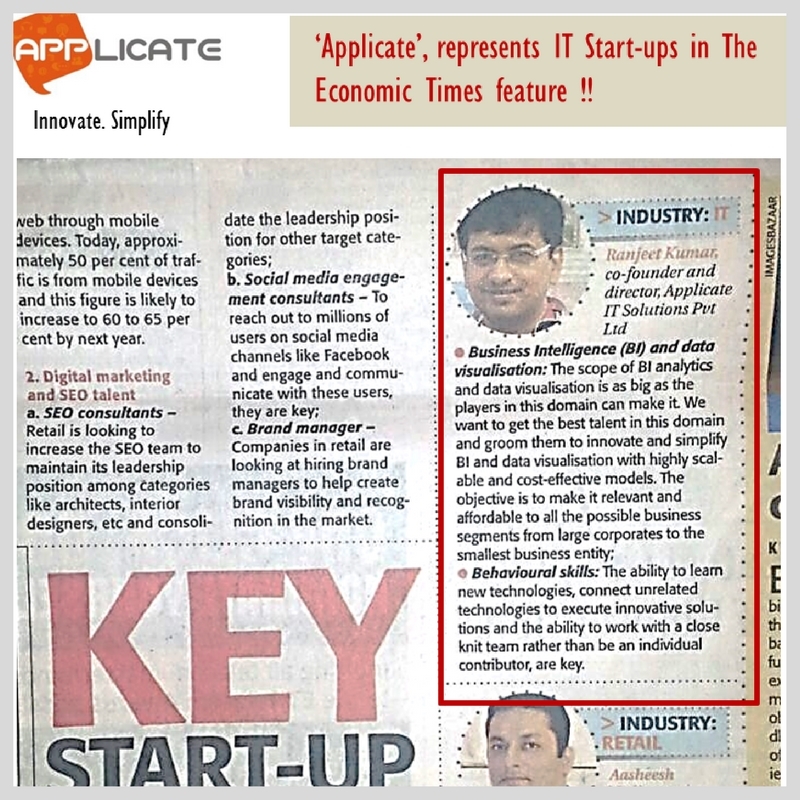 Ltd.
We started ‘Applicate’ with a small Team and a Big Dream! 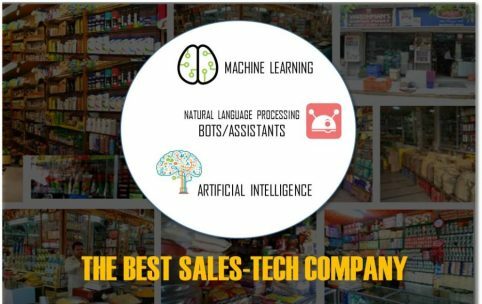 Our Passion for ‘Sales’ shaped products that got us name and customers, some of the top brands. 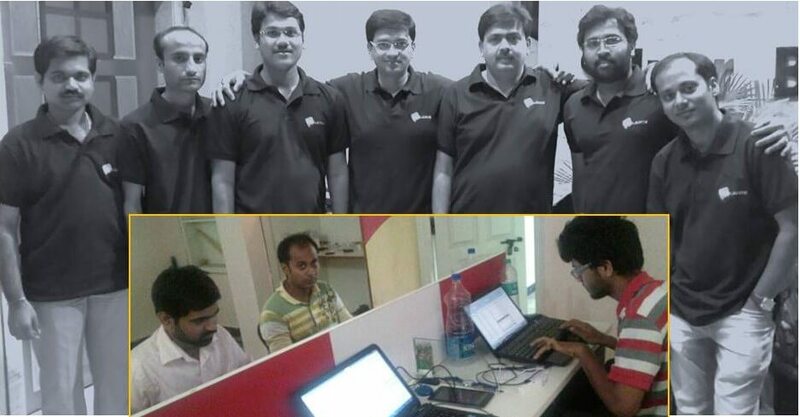 The team started to grow, we moved from a ‘Garage’ to an Office in Bangalore ! 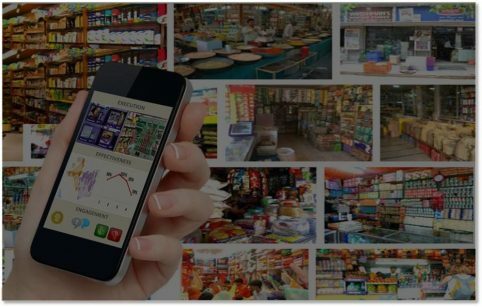 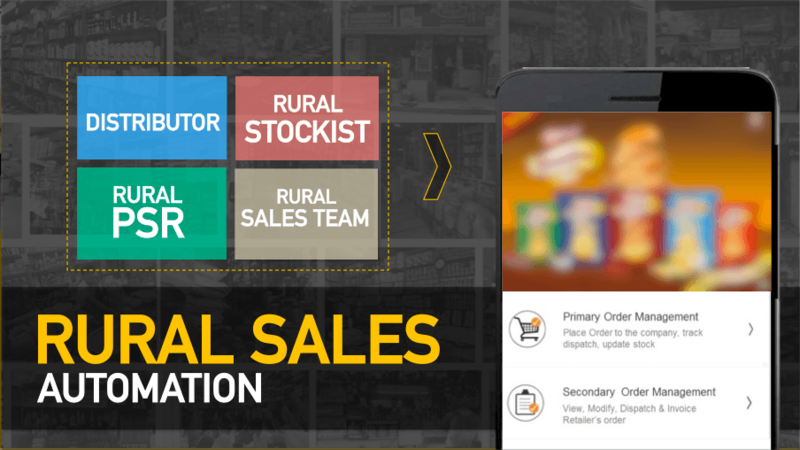 One platform for Sales Team Productivity (SFA), Modern Trade Execution, Merchandising, Distributors (DMS) and Retailers. 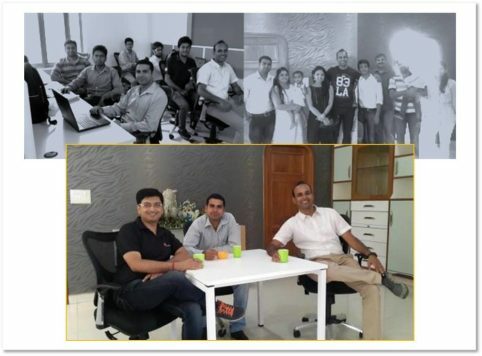 Our customer list started to grow and the team got bigger. Started Gurgaon Office ! Our unique platform and differentiated products got us new customers and new projects from each of our existing customers . 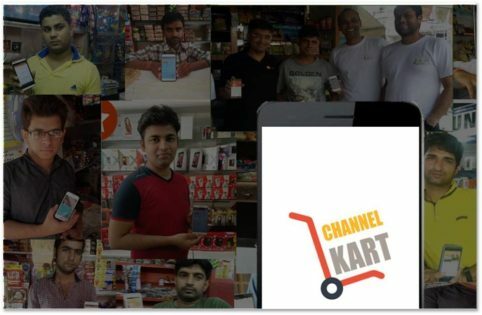 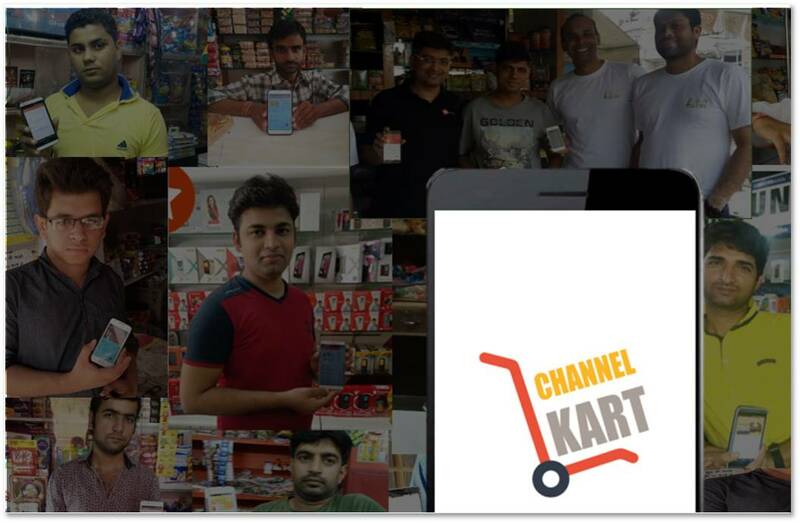 We created ‘Channel KART’ to address one of the biggest gaps in Sales ! 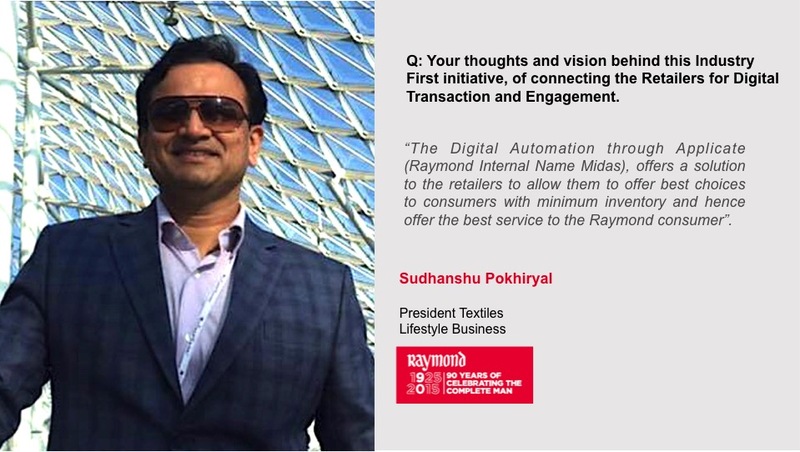 Connecting companies with their Retailers/Dealers for real-time transaction and engagement. 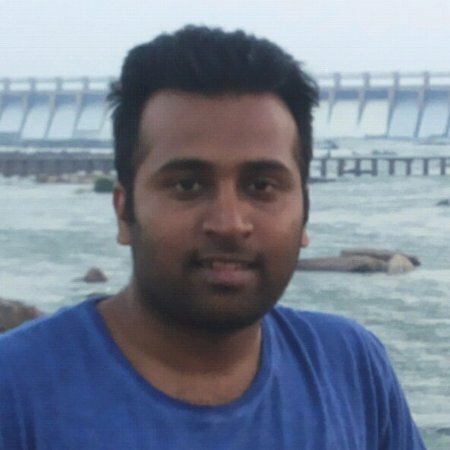 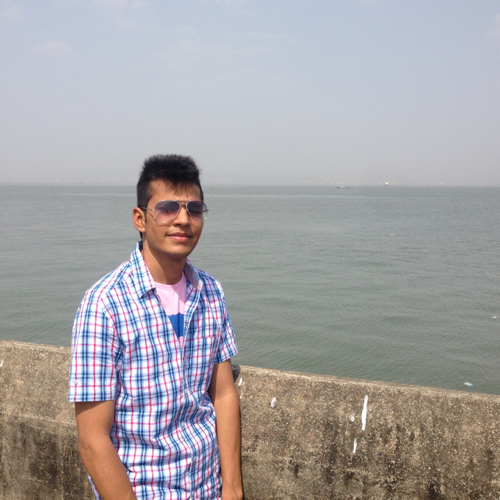 Its 3 years now ! 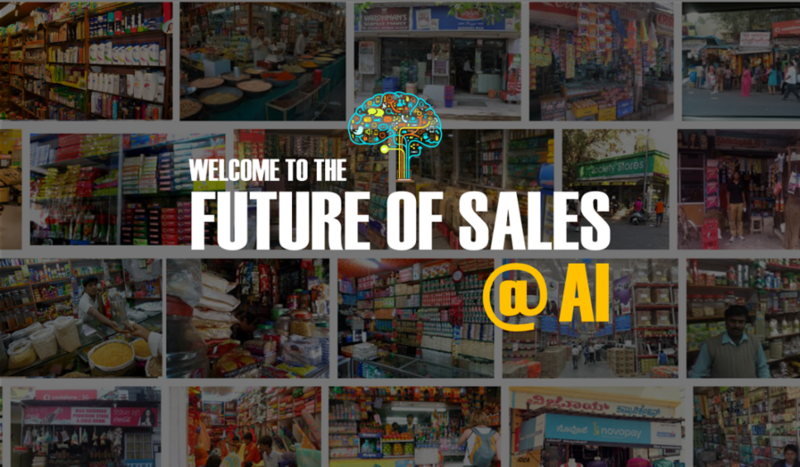 Driven by boundless passion and ever increasing expertise, celebrating ‘customer success’ on the way, the team is ready for defining the ‘FUTURE OF SALES’ !! 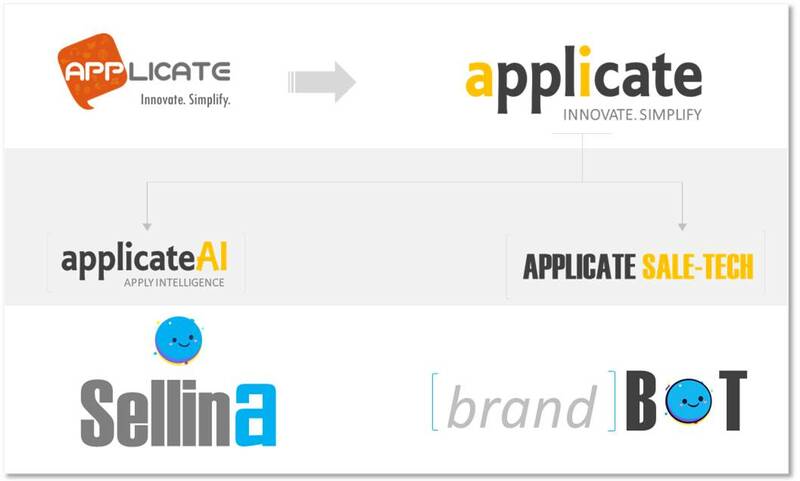 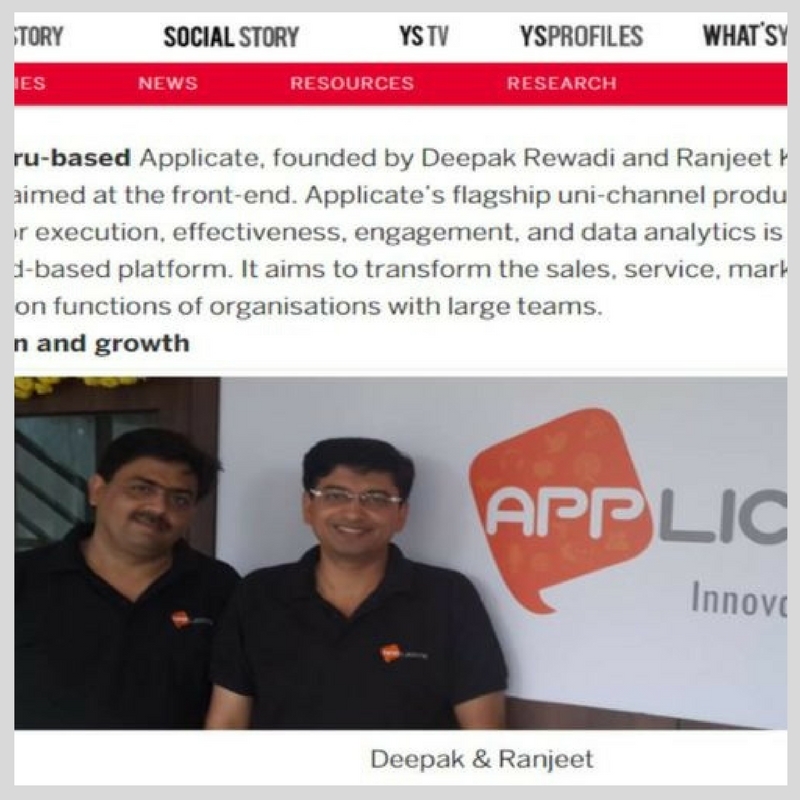 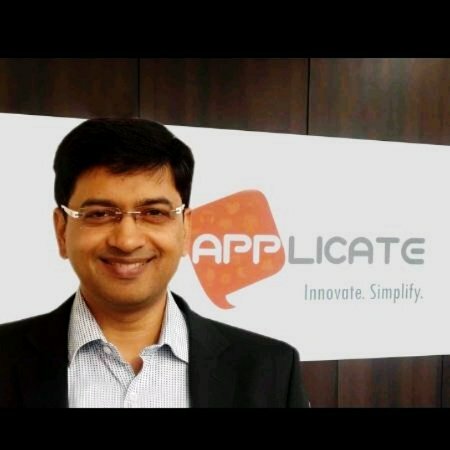 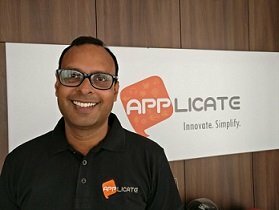 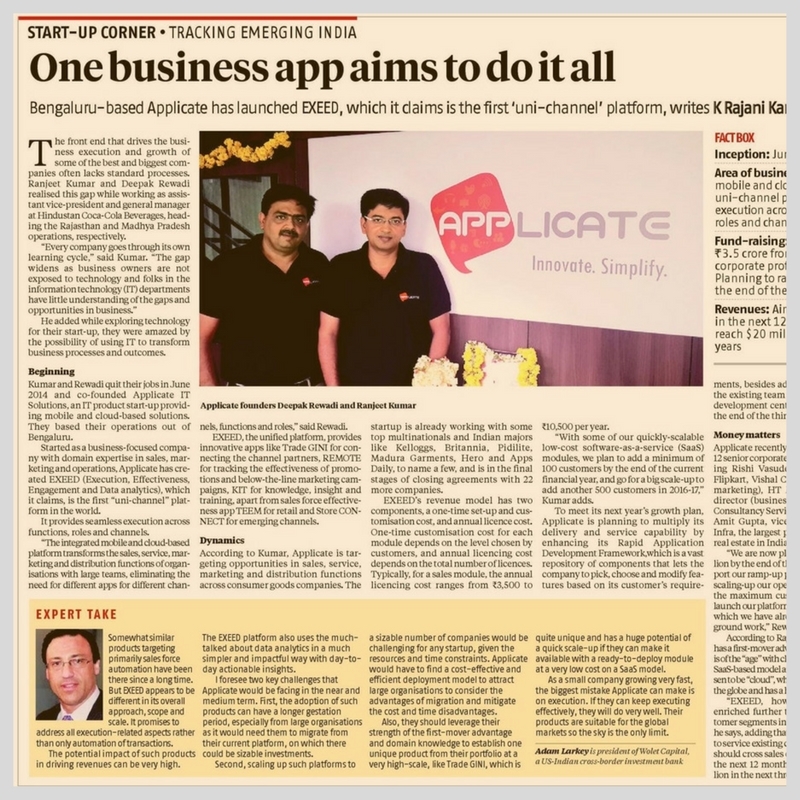 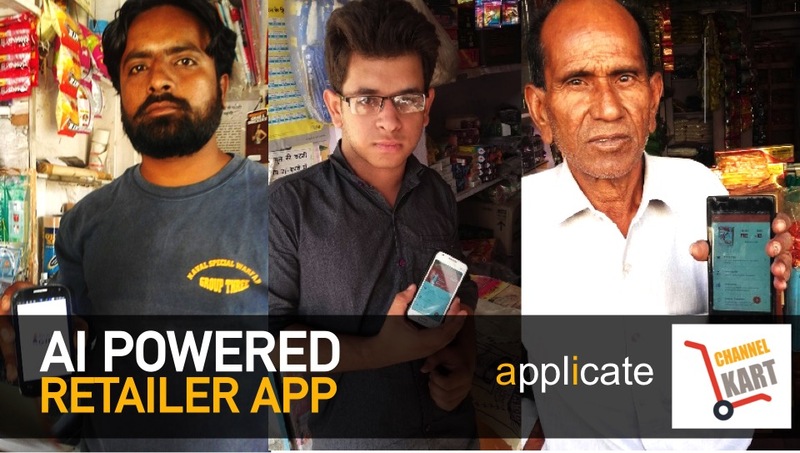 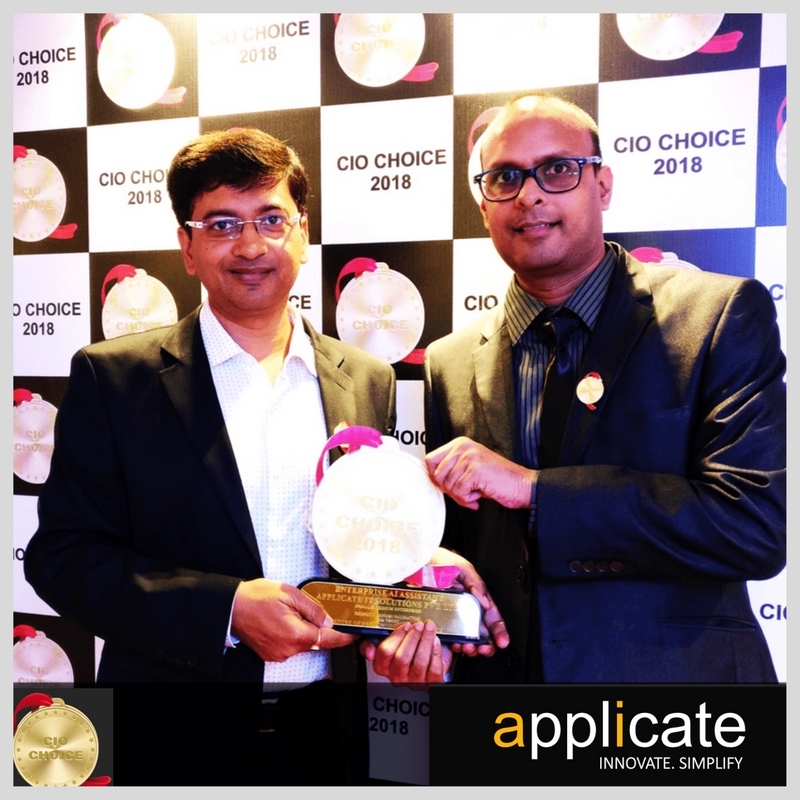 Applicate transforms itself as ApplicateAI, applying AI to Sales-Tech, defining the Future of Sales !! 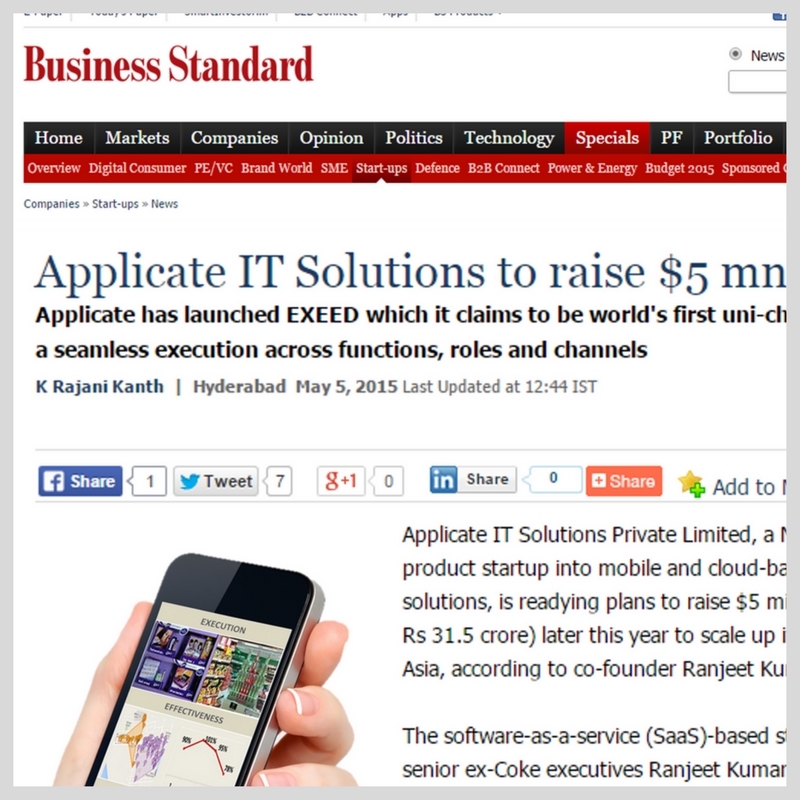 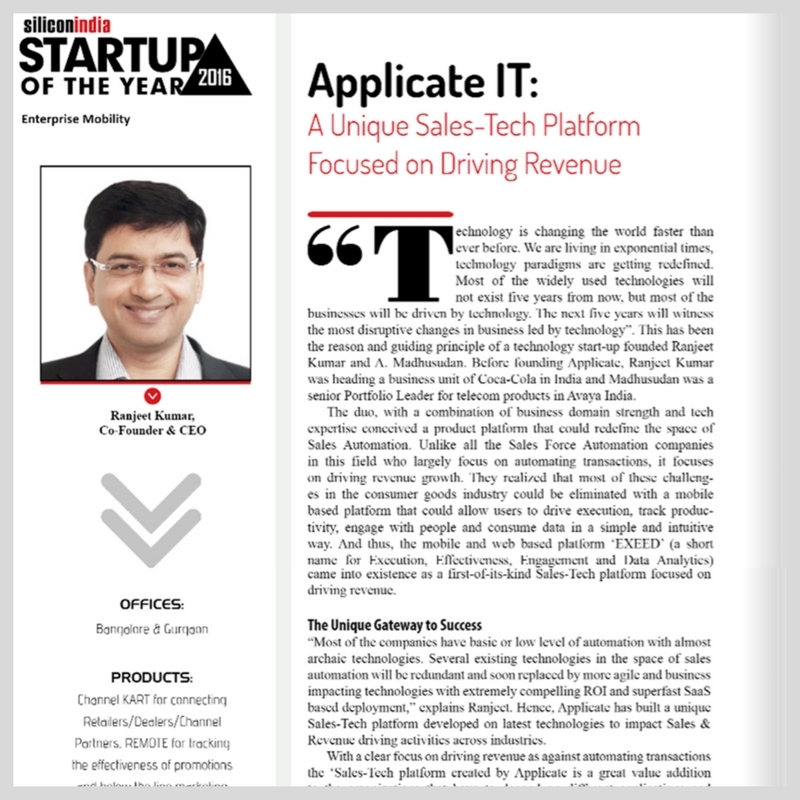 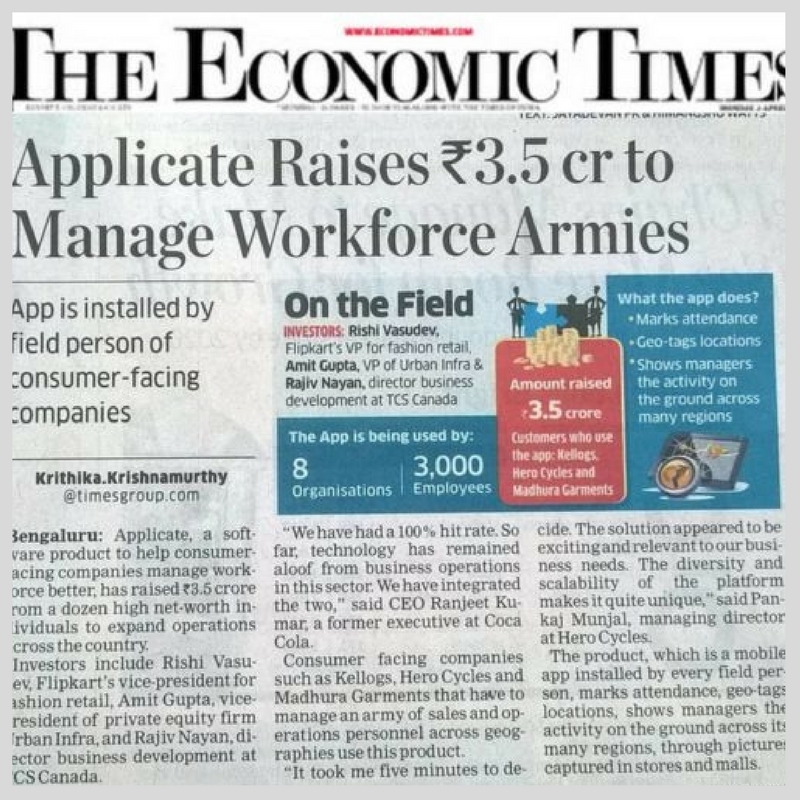 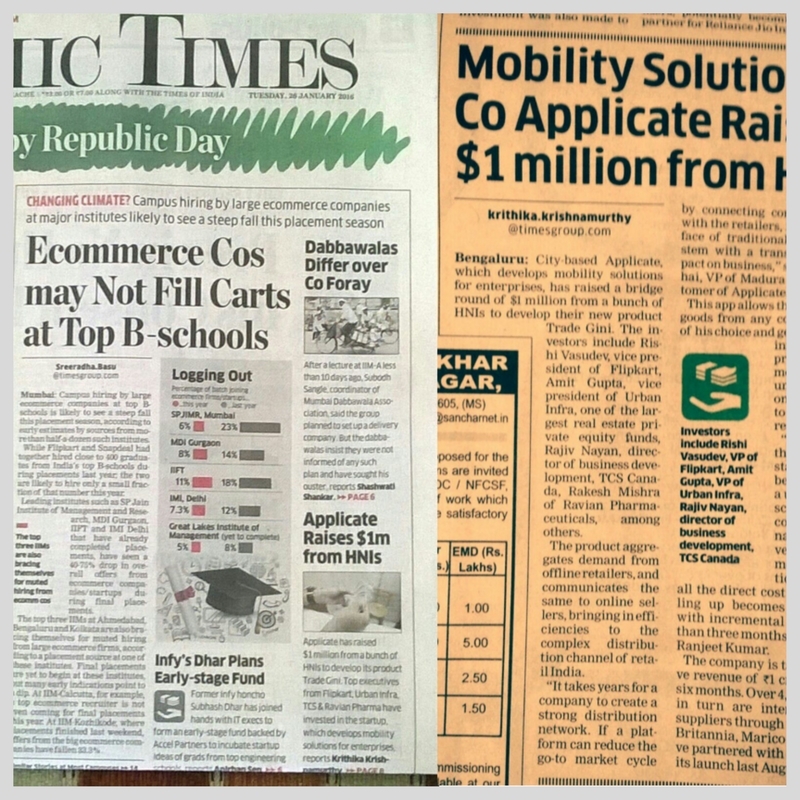 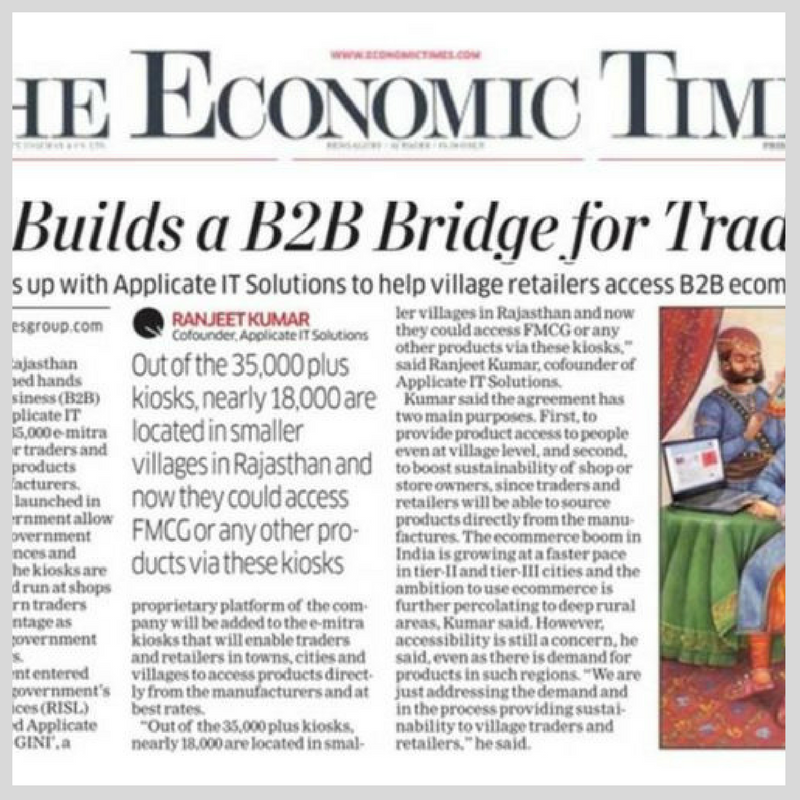 A big step towards our Big Dream of becoming the Best Sales-Tech Company. 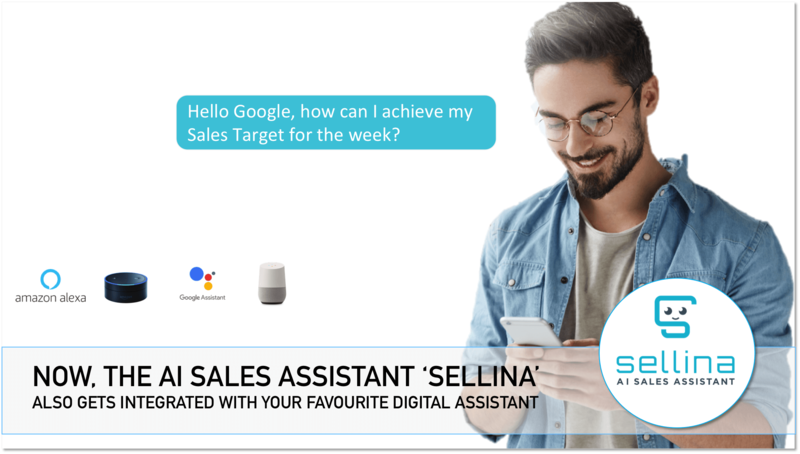 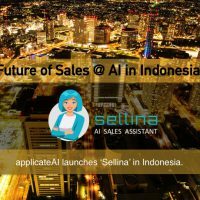 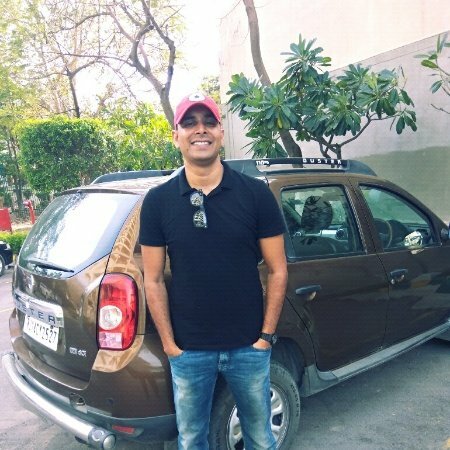 Created first Digital Sales Expert – ‘Sellina’ for sales and [brand] BOT for marketing. 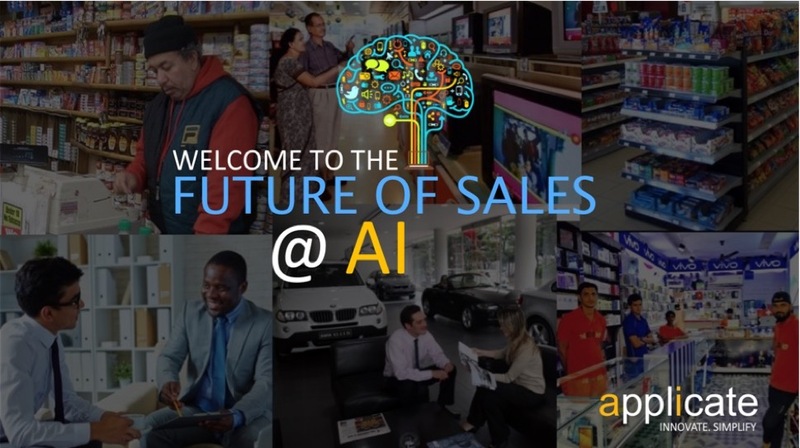 Driven by our Big Dream, to be the Best Sales-Tech Company in the world, working @ Future of Sales = AI !! 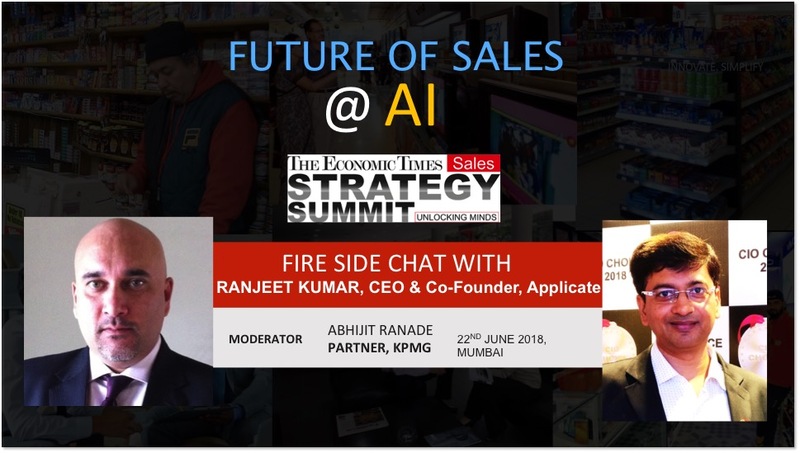 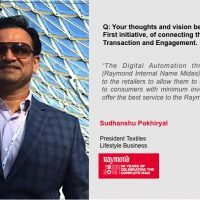 ET Sales Strategy Summit : Simplifying AI for Sales !! 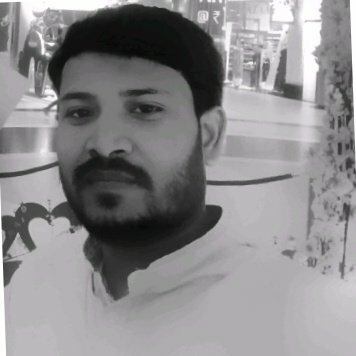 Have an Question? We’re happy to help you.